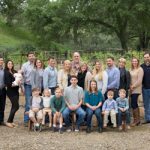 Fourth generation Sonoma County dairy farmer Jennifer Beretta strives to keep the dairy and agriculture industries viable in Sonoma County. 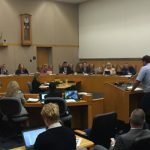 Beretta recently showed interest in joining the Farm Bureau board, and was unanimously elected at the April 14th meeting. Beretta works on the family dairy in Santa Rosa. Beretta Dairy has been operating in Sonoma County since the 1960’s. They have approximately 400 acres on which they run 300 milking cows and 500 heifers and calves. Beretta is responsible for their organic paperwork, feeding, artificial inseminating heifers and pasture management and irrigation. Jennifer Beretta will join 17 other board members including her father Doug Beretta. The Berettas are the first father daughter pair to serve together on the board of the Sonoma County Farm Bureau since its conception in 1917. Beretta will be the youngest member on the board, and she views this as both an opportunity and challenge. Beretta knows she is a different generation than the current members and will be able to bring a fresh perspective to the Farm Bureau. Beretta also knows she will have a tremendous opportunity to learn from the board’s current members, improving her ability to be on the forefront educating consumers. Beretta is heavily committed to improving the future of the industry and is involved with many organizations outside of the Farm Bureau. For the last four years, Beretta has served as the District 3 Dairy Princess coordinator, helping younger generations of dairy farmers prepare for the competition. She went through the Western United Dairymen’s dairy leadership program and serves on the Ag Trust Board for the Santa Rosa Junior College as well as the Dairy Advisory Committee for the Sonoma County Fair. 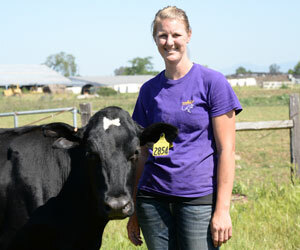 Beretta enjoys teaching and helping others in the dairy industry. She helps 4-H and FFA students with new and existing dairy programs. She does tours on the family dairy as wells as class visits, most recently bringing calves to Santa Rosa High School. Showing cattle is a passion for Beretta who exhibits at the Sonoma County Fair and the California State Fair. In addition to this, she rides horses and plays slow pitch softball in her spare time. Going forward, Beretta is excited to be part of the Sonoma County Farm Bureau’s board.